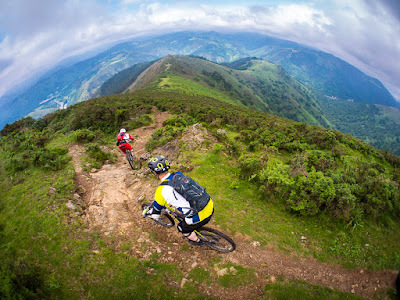 Veloce ® cycling and bike rental company : Full suspension mtb cycling experience in San Sebastian and Hondarribia areas riding coast and forest trails of the Basque Country. Full suspension mtb cycling experience in San Sebastian and Hondarribia areas riding coast and forest trails of the Basque Country. Enjoy with Veloce® a great full suspension mtb cycling experience in San Sebastian and Hondarribia areas, riding coast and mtb forest trails of the Basque Country. Hardtail and full suspension mountain bike rental, guide, uplift services and cycling holiday packages in the Basque Country. *Service provided to people with advanced mtb experience.